A London auction house has sold a copy of "Harry Potter and the Philosopher's Stone" for almost $ 100,000 – but before you start your bookshelf in hopes of getting a huge stack of galleons, you should know this book was pretty weird . The book was a first edition, first impression of the novel that was introduced to Harry, Hermione, Ron and the rest of the Hogwarts in 1997. It's one of about 500 copies that exists, according to the Bonhams auction house, and it once belonged to JK Rowling's first literary agency. 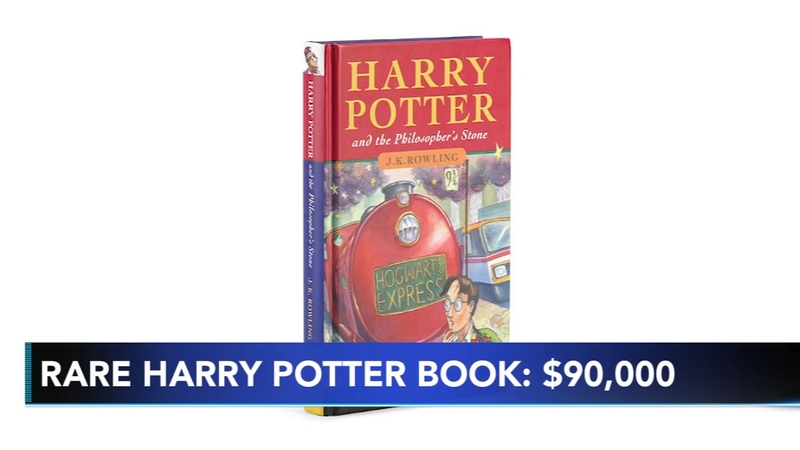 Bonhams said the book sold for $ 90,074 (68,812), so the new owner may want to take it to Gringotts Bank for safekeeping. "Harry Potter and the Philosopher's Stone" – or the Sorcerer's Stone, if it's known in the United States – was the first of seven novels in the series. Last year, Rowling's Pottermore website announced that more than 500 million books have been sold in 80 different languages. The-CNN Wire & 2019 Cable News Network, Inc., a Time Warner Company. All rights reserved.